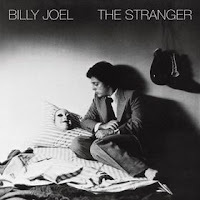 I remember hearing Billy Joel’s The Stranger probably a year or 2 after it came out, maybe even a little later. The title track is such a great tune. Some pretty deep lyrics and some of which hit home to me every couple of years when I get off my normal path. I’m not a huge Billy Joel fan but this album has stuck with me for a lot of years. Lots of familiars on there Movin’ Out, Just The Way You Are, Only The Good Die Young and She’s Always A Woman. But it’s songs like The Stranger and Scenes From An Italian Restaurant that really set Billy above a lot of the other singer/songwriters of that era. Plus he had such a badass band. C’mon, his drummer’s name is Liberty Devito, how can you go wrong? Here’s a vid from the recently released 30th Anniversary box set. I went to Encore Music to buy some metal and saw this set and flipped out. « So, Sarah Palin eh?